The Welsh Government is currently working on Cymru’n Cofio Wales Remembers 1914-1918’s Programme 2017 and is appealing for events which could be featured in the publication. 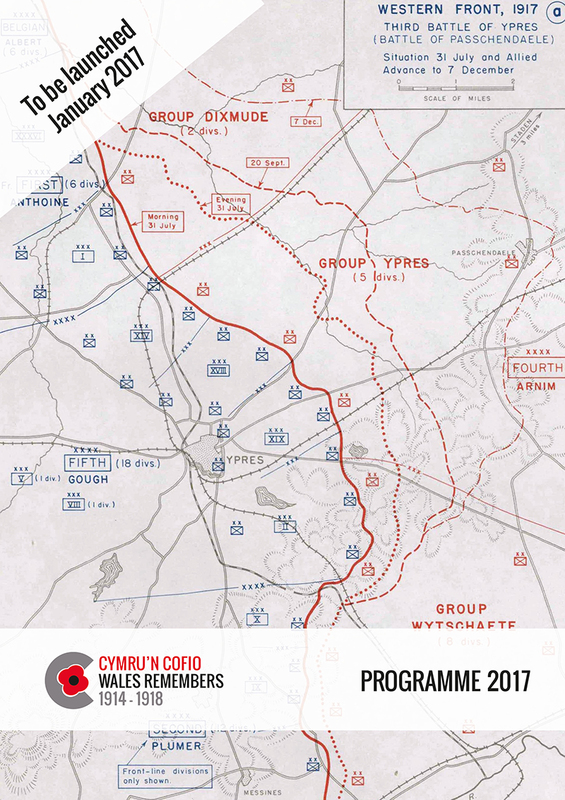 Programme 2017 will be the latest in a series of annual publications which detail the First World War Centenary commemorative events taking place in Wales or further afield of Welsh interest. The annual programmes also contain in-depth articles about various commemorative projects past, present and future. Commemorative events are taking place across Wales and beyond. If you would like your event to be considered for publication in Programme 2017, please add it to our Programme website [http://www.walesremembers.org/events], by using the electronic form. We would be grateful if you could add your 2017 events to the website by 1 December 2016 to allow time for submitted events to be considered and processed for Programme 2017. Any events added after this date will not be included in Programme 2017. Programme 2017 will be launched on the same day as our 2017 Partnership Day in late January 2017. Further information regarding this event will be uploaded to the news page of the Cymru’n Cofio Wales Remembers 1914 – 1918 website in the coming months. We would be grateful if you and your organisations could share this information with your contacts and colleagues with links to the First World War Commemoration via your websites and social media feeds please.